As you might have gathered, I'm a fan of Doepfer's A-133 VC Polarizer. It's neither flash nor expensive but it's often overlooked. This is a shame because it's a very flexible and compact utility module that could be useful in any Euro-rack system. The A-133 comprises two voltage controllable DC-coupled ring modulators or bipolar VCAs. It can process both audio and CV signals which can be inverted, boosted (up to 2.5x) or attenuated. Two handy LEDs show the level and polarity of the output. It can be used as a standard linear VCA but also to flip a signal from +ve to -ve. This can have a dramatic effect on modulation sources in a patch, particularly when using a bipolar random signal to VC the polarity. Processing two audio-rate signals results in ring modulation. The nice thing about using the A-133 for RM is the fact that you can set the intensity/ colour of the effect. Chain both units to gain voltage control over the modulation depth. The A-133 can also be used as a cross fader. Take the two signals you want to cross-fade and patch them to the ins of units 1 & 2. Set the manual offset of the top unit to ca. +2 and the bottom unit to ca. -2. Take an LFO and mult it to the CV ins of both units. Take the outputs of both units and feed them into a mixer. When the LFO is positive you'll hear the output of the top unit and when it's negative, you'll hear the bottom output. Anyone who has Maths, needs an A-133 to gain voltage control over its contours. As outlined in Patch Tips #1, non-linear shapes can be achieved by introducing either positive (log) or negative (exp) feedback into Maths', or indeed any VCADSR or VC LFO's CV input. You could also use the A-133 in a feedback patch with a filter to gain voltage controlled resonance. My favourite use for the A-133 is rather more mundane: it's a handy, if basic, voltage meter! Great for checking whether you are actually getting a signal out of a module, what its polarity is and how fast it's swinging. Hope this helps you understand the A-133 a little better. As I say, it's not flash, but I'd be lost without it. I dug these old tests out of the archive in response to these (1, 2) threads at Muff Wiggler's forum. Bear in mind that this was 2008 and that the range of modules now on offer is far greater. 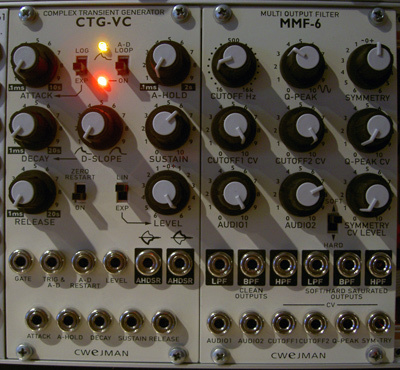 Given the choice today, my recommendation would be the Cwejman CTG-VC and Make Noise Maths. Nevertheless, I hope the tests are still of use! "Common wisdom has it that the most important module for shaping your sound is the filter. I beg to differ: it's the envelope, stupid!" Download the test (3.3MB) here. Features Doepfer A-140, A-142, A-143-1, Cwejman ADSR-VC2 (rev.1) & Bananalogue/ Serge VCS. "Faster is better, right? Not necessarily ..."
Download the test (1MB) here for a comparison between the Roland MC-202 and Doepfer A-140 envelopes. Sometimes 'sluggish' is just what you want. Today's Music Minute is dedicated to the soothing, digestive qualities of Aquavit, a cumin-heavy Schnaps which I only drink once a year after a traditional German winter meal of Grünkohl, Pinkel, Kassler & Kochwurst. My regular Grünkohl host insists Aquavit is the only thing strong enough to cut through the fat and guarantee a good night's sleep. 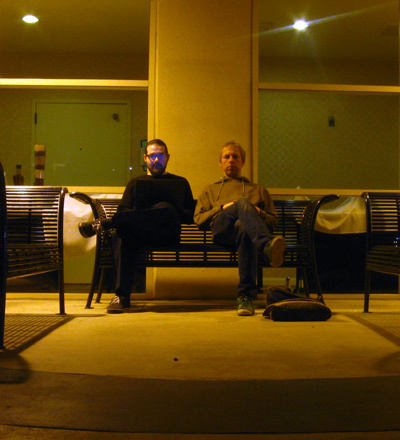 The three voices were snipped from a one-minute jam on a Hertz Donut, tossed into Ableton's Simpler and replayed. It works a treat! As per Yohda's suggestion I used a mixer/ VCA, but I think Rechner7 is right: a logic module would be better: when I lengthen the decay time in the example, you can hear some 'flamming' where the gates overlap. The patch is simple: use channel 4 as your envelope, as it is equipped with an EOCycle rather than channel 1's EORise. An LFO clocks a sequencer and A-160/161 clk div/ seq. The main gate is sent to channel one of a VCA-4MX and the EOC to channel two. This is gated by the division output of your choice from the A-160/161 combo. 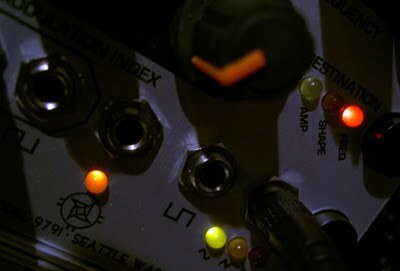 Be sure to read Tony Rolando's patch tips for gated looping in that thread. And thanks to Mr White (Mr Yellow) for asking the question! EDIT: the trills patch will also work with a Bananalogue/ Serge VCS! I also replaced the VCA-4MX in the patch with an A-134-2 VC Xfader to generate somewhat 'cleaner' trills. Using a cross-fader means the main gate is 'pushed out of the way' when you want the EOC to take priority. First in a new series of tips and tricks, recapping some of the ideas I've covered in Patch of the Day. Increasing the amount of positive or negative feedback will increase the severity of the response, flipping the polarity to the CV-ins will yield an exponential rise and logarithmic fall. 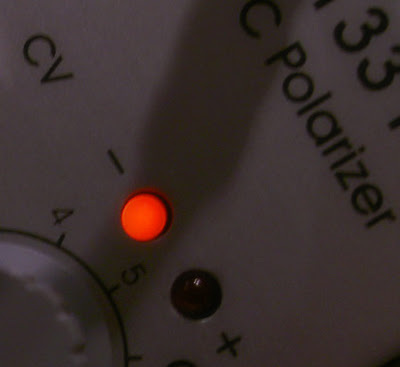 If you want to go really mad, use Doepfer's A-133 Dual Polarizer instead of Maths' 'attenuverters' to gain voltage control over these parameters. Low Pass 'clean' output. 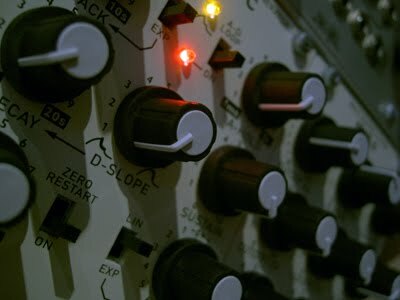 An analogue sequencer was used to modulate the cutoff frequency while the resonance and symmetry parameters were manually tweaked. The VCO's frequency was constant. With no gate applied, the CTG's sustain is 'high' and can be used as an offset. Despite lacking a D-Slope CV input, this parameter can be voltage controlled by taking a mult of the envelope and feeding it back to the decay CV. This is exactly the same patch trick I used to attain CV control over Math's curves. Depending on whether the feedback is positive or negative, one can change the response from exponential to logarithmic. Again, +1 for Doepfer's A-133 VC Polarizer! And finally, Wowa says he plans to successively change all panels to the new, classy 'pearl white'. Today's Patch of the Day was inspired by Morton Subotnick's Sidewinder. A Plan B M15 VCO running through the bandpass section of a M12 filter provides the polystyrene, the ring mod output of a Cwejman VCO-2RM the glassy tones. On a side note, the following was recorded in response to this thread over at sequencer.de discussing how one would go about cloning a Buchla Music Easel with Euro-format modules. 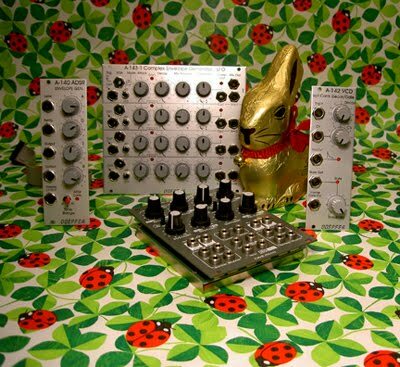 Sure, I'd love a vintage Buchla too, but I don't need one. Honest. The MMF-6 is capable of the sort of nasty, distorted sounds I never thought I'd hear from a Cwejman filter. It features two sets of three outputs, LP, BP & HP in clean, soft & hard saturation variations. According to the product page, he symmetry control makes it possible to set different cutoff frequencies for the positive and negative halves of a signal. This can have a radical effect on the sound and means you can attain a nice amount of bite even from the 'clean' outputs. The amount of grunt, growl and distortion is highly dependent on the level of the incoming audio and the amount of Q so, much like a wavefolder, it might make sense to patch your signal to a VCA before hitting the MMF-6. This clip shows some of the aggressive sounds the MMF-6 is capable of. Manual tweaking of the cut off, resonance, input, symmetry, hard & soft controls. LP, BP then HP. Clean outs, then saturated. One bar no resonance, then with res @ 7, then manual symmetry control. Last four bars are the saturated outs. The CTG-VC can function as both a gated ADSR-type envelope and triggered AD-type transient generator. It features a hold stage of up to two seconds to add compressor-like punch to sounds and has a variable shape decay slope. As with Make Noise's Maths, this can radically alter the character of a sound. An AD loop mode can be activated either manually or by CV, allowing the CTG-VC to release rapid-fire trills. 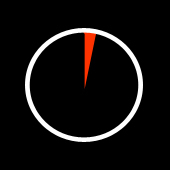 The 'Zero Restart' function overcomes the offset experienced when an envelope is re-triggered before the release phase has completed and forces the envelope to start from scratch. Nearly all parameters can be voltage controlled, including the final output level which is bi-polar. This clip demonstrates the effect of changing the Hold and Decay Slope parameters. Manual tweaks: Hold first, then D-Slope. I kept the envelope times fairly short so you can hear the difference these stages make. First run-through with res @ 3, then @ 6. After onset of delay I couldn't resist toying with the symmetry. Note, this is the 'clean' output! Sequence with Zero Reset activated, then off (traditional ADSR response). AD Loop: clock divider used to provide syncopated bursts/ trills. In the latter half, the envelope is so short that the VCA is amplitude modulated at audio rate. Both these modules look and sound great and are of the build quality we've come to expect from Cwejman. Grab them if you can! 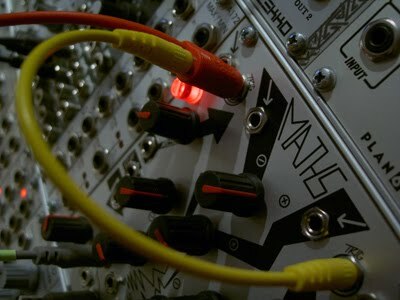 For modular news from NAMM check out Andreas Schneider's Stromkult blog. Latest posts include a visit to the Noisebug, Big City Music and Analogue Haven stands, new modules from Metasonix, Doepfer, Tip Top Audio, Malekko, Make Noise, Livewire, WMD, Moon as well as other products from SND, Jomox, Sherman, Sequentix & Mungo Enterprises. I used a looping envelope (Plan B M10, slow attack, faster decay) to open a VCA and also voltage control the VCO's wave-shape. The M10's End of Attack pulse clocks a Wogglebug which provides a stepped random CV for the VCO and the envelope's Timebase. The change in pace and pitch occurs during the note's decay. VC-ing the waveform discontinuity on the HD might be easier and the pitch change more apparent, but the Model 15 does sound great, especially with a dash of delay. The 'fretbuzz' is most audible at higher frequencies, so I transposed the the sequence to highlight the difference. The upgrade is (de)activated by holding the 'destination' button down for a second. It's nice to have the option as that 'breaking glass' sound certainly has it's uses. Thanks to The Harvestman for the time and effort and Andreas and the lads at Schneiders for the sweet treat. EDIT: At the time of posting, Soundcloud failed to open the player. If you get a 'not available' error, just click on the direct link.